Pewter is an alloy and especially easy to shape. 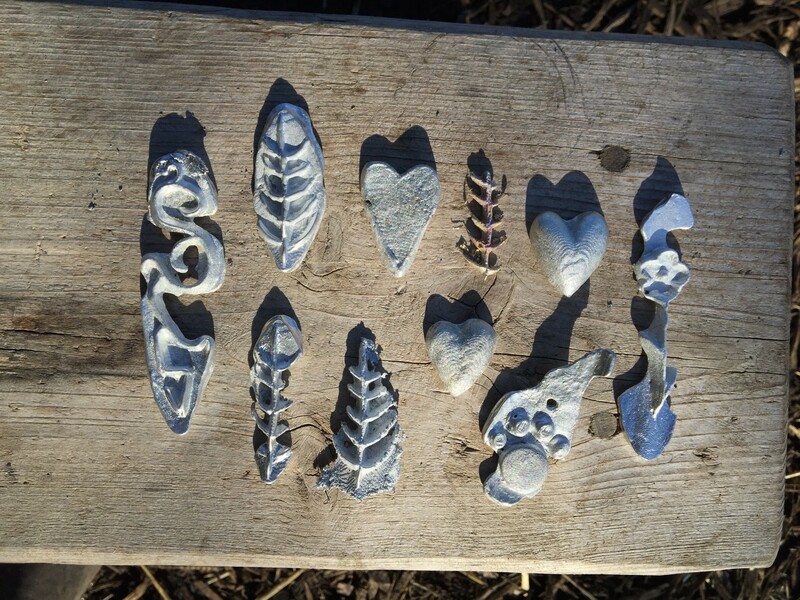 Young alchemists are invited to go and enjoy moulding this wonderful material with Lily Horseman of Kindling Play. Mould-making and design-casting. Workshoppers will then be able to take home their finished piece. This workshop is suitable for those aged 8 and above. The cost of pewter is included in the workshop ticket price. Children should be accompanied by an adult. The workshops will last one hour. The site of Lowther Castle has been occupied by the same family since 1150. Several different buildings have occupied the spot, the last of which was the castle itself. It was commissioned by William, 1st Earl of Lonsdale in 1806 and designed by the architect Robert Smirke, later responsible for many great civic buildings in London including the British Museum. In its heyday, the castle boasted a room for every day of the year. There was a grand art collection and the house was a celebrated beacon of the north. Lowther Castle and Gardens has recently undergone an extensive restoration programme. The history of Lowther Castle has now come full circle. From grandeur to extravagance to abandonment to demolition, the castle has become of the most popular tourist destinations in Cumbria. Open to families of all ages every day, there is plenty do to and see for everyone at Lowther Castle and Gardens. The Story of Lowther exhibition takes a look at the 850 year history, offering an insight into the different generations of the Lowther family and the different castle structures. High in the treetops there’s a large adventure playground – the Lost Castle – a replica of the castle itself, with the addition of turrets, zipwires, walkways and slides.